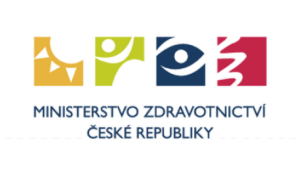 The Ministry of Health of the Czech Republic is the Central State Administration Authority for health services, public health protection, health-research activity and health-care providers in direct management competence. The principles of the activities of the Ministry are stipulated in S. 10 of the Act No. 2/1969 Coll. on Ministry and other Central State Administration Authorities of the Czech Republic. Our cooperation with the Ministry started in 2013 through the ICZ integrator. The main goal of the Register of Drinking Water is to collect, record and evaluate the quality of selected water samples. The register is available for number of organizations, state and private, for natural as well as legal entities. The main aim of the project was to update existing information system representing common access point for all entering persons. We successfully finished 10 months lasting project at the end of February 2014. In the course of the project, we used our knowledge of JTP (the so called unified technological platform provided by the integrator), Microsoft .NET and MSSQL Server 2008 R2.